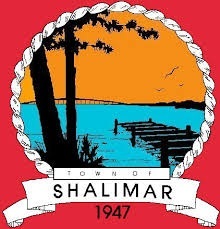 Shalimar was originally known as Port Dixie. It grew out of the woods of the area in 1943-1944 as a community of 160 houses to be used as housing for military officers. Shalimar is located just south of Eglin Air Force Base, west of Hurlburt Field and northeast of "The World's Luckiest Fishing Village" aka Destin, Fl making it a convenient location for homes near military bases and popular entertainment venues. A land and waterlocked small bedroom community, Shalimar jumped in population from 426 in 1999 to 716 a year later. Since then its population has remained steady at 805 in 2016. If you are looking for a place to call home that is close to the bases and fun, Shalimar may be the place.